Paris. Orly Airport. 19.25 à Londres. “CANCELLED” it says in big red letters on the departure board. 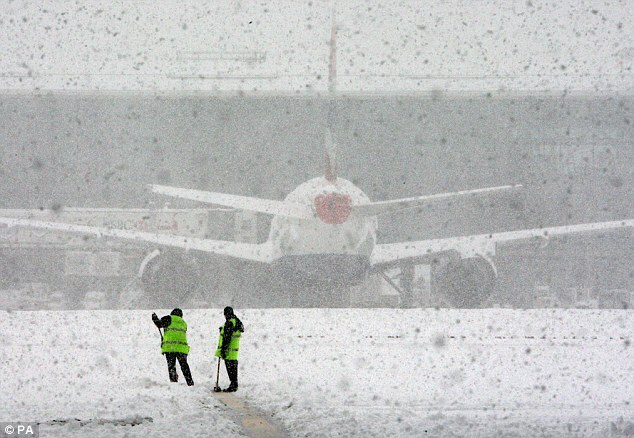 Snow at Heathrow. But I don’t mind too much. I’m on my way home after a successful gig in a French Château telling stories and exploring Narrative Leadership with an international group of Learning and Development Professionals. I travel quite a lot. I’m a cool customer. By the time I get to the desk, I’ve already phoned my travel agent, booked a seat on the 09.55 next morning and a room at a nearby hotel. I am given my voucher by the airline to pay for all of this, take a few minutes to buy some fine tea from the Mariage Frères concession at the airport then jump onto the shuttle to the hotel. I’m a cool customer alright. I borrow an electrical adapter from reception and sort out the internet link, enjoy a large Gin and Tonic at the bar and find a table for one in the restaurant. Tartare d’ Avocat followed by Confit de Canard, washed down with a couple of glasses of Château Neuf du Pape. Next morning I tarry for a minute or two in reception to return the adapter. The hotel shuttle drives off without me. But no matter there’ll be another one along soon. Plenty of time to stand around looking cool whilst I take in the snow-covered vistas beyond the car park. The shuttle arrives at Orly Ouest half an hour later than I had intended but there is still more than an hour until my flight takes off. Time for a quick exchange of texts with Chris (my partner, who is en route to Heathrow from Dakar) and to contemplate breakfast. No; I’ll cruise through security and get breakfast airside. I’m so cool, I’m froid. The departure board directs me to Salle 31 for passport control and security check. When I get there, two of the four control points are closed and the queue of waiting passengers snakes the length of the terminal. I am reassured though: a large sign indicates “9 min” to wait. As I’m looking it changes: “16 min”, “20 min”, “Plus de 20 min.” This is slightly worrying as they clearly have no idea how long it’s going to take. For a seasoned traveller like me, this is a simple matter of queuing strategy. I notice that the line divides in two as it gets closer to the border control booths: one for EU passports and one for all passports. The “Toutes Passeports” line is slightly shorter so, after a painstakingly slow 15 minute shuffle to the point of bifurcation, that’s the one I choose. This soon proves to be a serious mistake. For some entirely unfathomable reason it takes three times as long to tick a box at our booth. Not only that but another channel runs parallel to ours: “Passeports Diplomatiques.” I hadn’t noticed it at first but now delegations of self-proclaimed diplomats have come out of nowhere and are piling down it. Inspection of our queue’s passports is halted whenever one of them gets to the front, so they can be unctuously ushered ahead of us. I bet half of them have never seen the inside of an embassy. Bastards. 20 minutes pass and I am no closer to the control booth. Come on. Come on! COME ON! Bloody useless French. Bureaucratic nit-picking idiots. Couldn’t organize a piss up in a brewery. I bet they’re enjoying this. In fact, they’re doing on purpose. I know they are. They want me to miss my plane. 10 minutes to boarding time. 5 minutes. Why don’t I just walk up to the front and demand to be seen. Because I’m British and I am constitutionally unable to jump the queue, that’s why. Bugger. Damn. F**k.
Boarding time comes and goes. Eventually my passport is examined and my bags are x-rayed. Inevitably, the alarm sounds as I pass through the metal detector (it’s the clasps on my braces) and I undergo the ritual humiliation of a public body search by a child in uniform. I want to scream at him: “What’s the point of searching me for weapons? The sodding plane has already left.” Instead, I grit my teeth and endure the indignity in silence. After all, what does it matter now? Gate D is still closed. BA 333 has not yet left the tarmac. The lounge is full of people drinking coffee and eating croissants, casually waiting to board. There’s time. There’s plenty of time. Time for me to get an espresso. Time for me to calm down. Even time for me to choose a couple of bottles of St Emilion in Duty Free. I knew all along that it would be alright. I am, after all, a very cool customer. Great story Geoff! And boy do I recognise it – the collapse of the upbeat, inner dialogue. Thanks Margaret. Lovely to hear from you and looking forward to seeing you at Hawkwood. Fingers crossed for the weather!